This is the third of five wines that I'll be reviewing for Llano Estacado out of TEXAS! Yes, TEXAS! I started with the 2016 Pinot Grigio, then 2015 Viognier, now we're on 2015 Signature Red, followed by 2015 Cellar Reserve Chardonnay and finally 2014 THP Montepulciano. The fruit used in this blend are from the Mont Sec and Carpenter Vineyards of Far West Texas and the Reddy and Newsom Vineyards of the Texas High Plains. It is vegan friendly and has a 13.3% ABV. 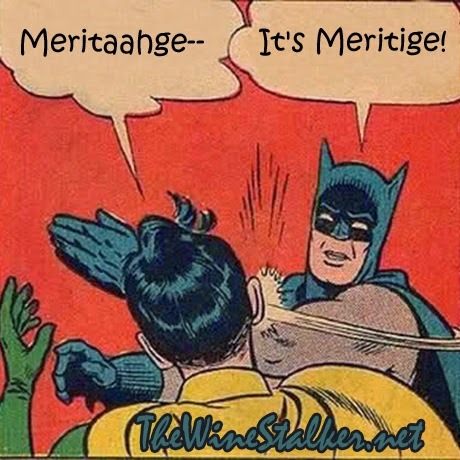 The 2015 Signature Red is approved as a Meritage! That rhymes with "heritage" and don't you dare forget it! This means that it's been approved by the Meritage Alliance to basically be a Bordeaux wine from the United States of America. That includes the grape varieties allowed to be used, and this one uses four out of the five: 37% Cabernet Sauvignon, 27% Malbec, 22% Merlot, 14% Petite Verdot. Carmenere is left out... again. The color of the wine is ruby red with a slight tilt in the direction of heading to brick. The first thing I get off the nose is milk chocolate and that continues to dominate, with cherries and plums and English breakfast tea dancing around behind it. It's medium bodied and much more tart and acidic than I would have expected from the nose. The tannin is pretty quiet, which I would not have guessed from a place as hot as Texas. There's flavors of tart cherries, unripened cranberries or small bush berries, chocolate and vanilla. It finishes like some Starbucks plum-vanilla-mocha concoction that you can't stop drinking. The thing that I like about this wine the most is the tartness to the fruit and the bright acidity, making it a versatile and excellent food wine. 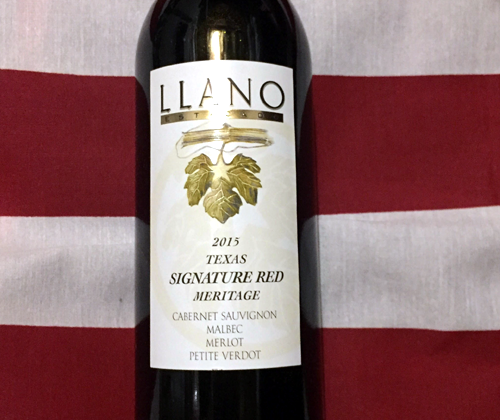 Llano Estacado makes a great suggestion of pairing this with steak fajitas. Goddamn, that sounds absolutely perfect. Some research studies suggest that red and purple grape juices may provide some of the same heart benefits of red wine, including: Reducing the risk of blood clots. Reducing low-density lipoprotein (LDL, or "bad") cholesterol. Preventing damage to blood vessels in your heart. I doubt that. What reduces the risk of blood clots for moderate wine consumption is the actual alcohol. One glass a day (5 or 6 ounces) thins the blood enough and consistently enough that helps blood flow, reducing risk of blood clots, heart attacks and heart disease. That's moderately. Over drinking increases the risk of those things.